An outline used to illustrate words, ideas, tasks, or other items linked to and arranged around a central key word or idea is called a mind map. A mind map is utilized to manage ideas and arguments making it an effective utility in study, organization, problem solving, decision making, and writing. The Visual Understanding Environment (VUE) is developed by the Academic Technology group at Tufts University. It is focused on creating flexible tools for managing and integrating digital resources in support of teaching, learning and research. VUE provides a flexible visual environment for structuring, presenting, and sharing digital information. 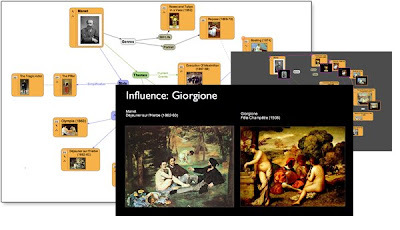 Using VUE's concept mapping interface, faculty and students design semantic networks of digital resources drawn from digital libraries, local and remote file systems. 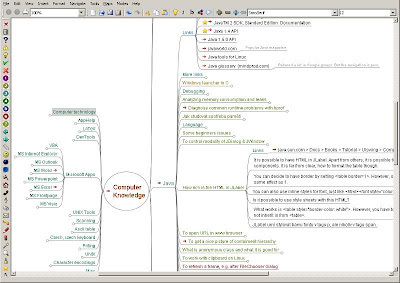 XMind is a brainstorming and mind mapping software tool developed by XMind Ltd. It supports mind maps, fishbone diagrams, tree diagrams, org-charts, logic charts, and even spreadsheets. It is often used for knowledge management, meeting minutes, task management, and GTD. XMind is compatible with FreeMind. 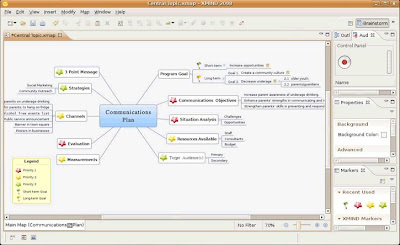 A commercial version called XMind Pro can export the mind maps into Microsoft Word, PowerPoint, PDF and Mindjet MindManager documents. 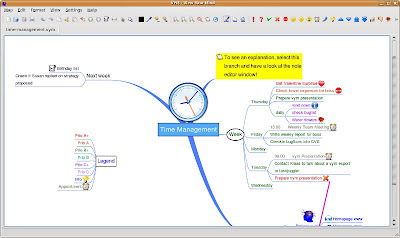 Do you use mind mapping software? If yes, then what mind mapping application do you prefer? This is the first time I've heard of mind mapping software, they certainly look cool and this post does an excellent job in summarizing the open-source offerings but I must confess that I'm a little intimidated by the complex screenshots ;) . Don't be intimidated, they are REALLY easy and pwoerful to use. My 11 year old daughter mapped an entire school year's worth of math concepts on to ONE page in 45 minutes have never seen a mindmap before!! I used to get near straight D's when I was 16-17 years old. I was trying really really hard all the time, so it wasn't laziness that was the problem (if anything I was overtired and very stressed with all the trying). Then I learned Mind Mapping techniques through Tony Buzan's book "Use your head". I still got a D with my next assignment (someone typed it out for me and I handed it in not knowing they had filled it full of typing errors which I now think influenced the bad mark) but I found the new way of note taking much more fun. My very next assignment (which I typed) was an A, as were many since (pretty much all A's and B's). 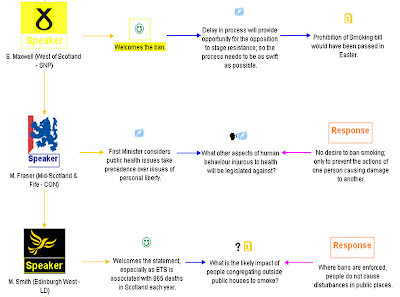 The Mind Mapping technique really works! The best I have seen is "inspiration" although it's not Open Source / freeware. It's good to see these ones listed... some like VYM are getting pretty close. Thanks for this page! Freshly decided to enter the Linux world and was looking for a good alternative for Mindmap. Here I found XMind, after checking a lot of other progs. And Xmind is really the best alternative - the only one really as good as Windows Mindmanager! Lucky I found your page and the program with the reference here. Please add yEd to the list a must see powerful desktop application that can be used to quickly and effectively generate high-quality diagrams. Create diagrams manually, or import your external data for analysis. Our automatic layout algorithms arrange even large data sets with just the press of a button. I have been a consistent user of Mind Maps mainly for organizing, i use free mind software but feel the best maps are done by hand using as much elements as possible. do any of these support audio without having to pay for that feature?